This post was sponsored by Sands Bethlehem as part of an Influencer Activation for Influence Central and all opinions expressed in my post are my own. If you're like me and have the Winter Blues, I highly suggest starting to plan for Spring Break. I'm not a big fan of Winter and honestly, if I go outside it's because my daughter's want to go out and play but I can promise you this, I do not want to build a snowman. I am so excited for Spring. I'm ready for warm weather, green grass and of course, Spring Break! 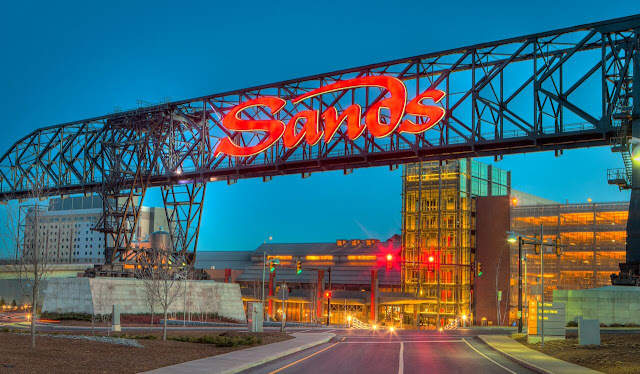 If you're looking for a place to vacation with your family this Spring Break look no further and check out, Sands Bethlehem. It's the perfect place for your family vacation this year. Are you wondering what is Sands Bethlehem? Well, Sands Bethlehem is a Casino and Resort that has something for everyone in the family to enjoy. That means anyone from the baby to great grandparents and beyond. Everyone is bound to find something fun to do! Now let's talk about what Sands Bethlehem offers. Inside Sands Bethlehem you will find so many different things to do. Some of the things you will find are areas to keep the kids entertained, the casino, tons of restaurants from Celebrity Chefs like Buddy V's Italian Ristorante and a shopping outlet to name a few things. Kids Quest welcomes children between the ages of 6 weeks old to 12 years old for an hourly fee. Cyber Quest provides family friendly arcade games. Everyone is welcomed. But children 12 years old and younger needs to be accompanied by an adult. The Shopping Outlets Inside you will find places like Steel Magnolia Spa & Salon (Enjoy 50% off a Classic Manicure with a Spa Pedicure service) and a variety of name brand clothing shops. Spring is really the best time to visit Sands Bethlehem. There are so many fun events happening during the Spring months, Be sure to check them all out here. Easter Bunny Photos at The Outlets. During April 1 - 15, 2017: Monday through Saturday from 11:00am to 7:00pm; Sunday from 11:00am to 6:00pm. Not only is the Easter Bunny available for pictures with you and your children but pets as well, which will be available Sunday, April 9th from 7:00pm to 9:00pm. The annual free community Egg Hunt Easter event on Saturday, April 8 starting at 10:00 a.m located in Kids Quest. You definitely don't want to miss this awesome event. If your children are between the ages of 4 years old and younger, their hunt begins at 10:00am. If your children are between the ages of 5 and 7 years old, their hunt begins at 10:30am. At 11:00am are for children 8 and 10. Please make sure your children are preregistered for this event. Registration opens 30 minutes before each age specific hunt. Along with the Egg Hunt, there will be chances to win door prizes. To enter, you must be 18 years of age or older, a Preferred Shopper or hold a Preferred Blue MySands Card. You can also sign up to become a Preferred Shopper at the event to participate. The drawing takes place at 11:30am so be sure to stick around. There will also be a Lehigh Valley Academy Band and Choir Spring Concert from 12:00pm until 1:00pm. Don't miss it! And don't worry if you can't make the Easter Events, there are still many things to see and do at Sands Bethlehem. Start planning your trip TODAY! You don't want to miss out on all the fun. Those events at Sands Bethlehem sound fantastic. I am glad they also have all kinds of children-friendly activities. It would be a great place for family vacation during spring break. Thanks for sharing this information. This looks super fun and exactly what we need right now!! With spring break right around the corner it would be awesome to break away to a place like this! I especially love that they provide plenty of kid fun to go along! Oh man, I could definitely use a vacation right about now! I've never been to PA, but this place looks like a lot of fun! I really like hotels and resorts that have a lot of activities for everybody so there's always something to do. And a spa! A must! I'm with you! Boo winter. Ha, ha. I need some summer sun soon. This looks like an amazing vacation. That sounds like a wonderful place to visit! I haven't been to Sands so I'll definitely be checking it out. The spa will be the first stop! I have actually never been to Sands. Been over in that area several times, but never there. Looks and sounds like it's a great place. I love Easter egg hunts and I'm sure they put on a good one! Now this looks like a fun vacation. I'm hoping after our daughter graduates we will plan a fun couples trip. Just adults. Until then life is pretty much all bout our daughter. This looks like a great vacation for a nice date weekend away with the hubby. Or even a ladies weekend! How fun! I would love to visit sometime. Looks relaxing! When I saw your photos, I thought it was captured in Macau. Macau is the gambling capital of Asia. It is widely know for its Casinos. In fact, it was also called the Las Vegas of Asia. I have never tried gambling. 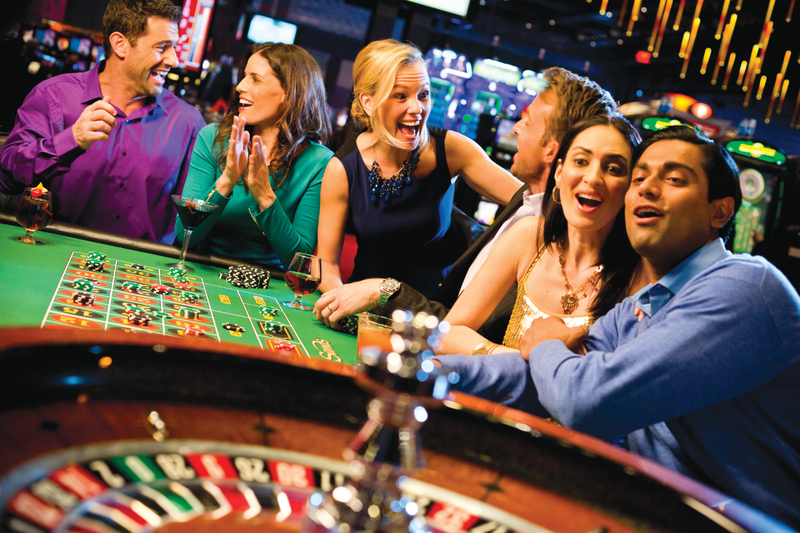 But for those who likes to play in Casinos, I think that your post on Sands Betlehem will surely entertain them. 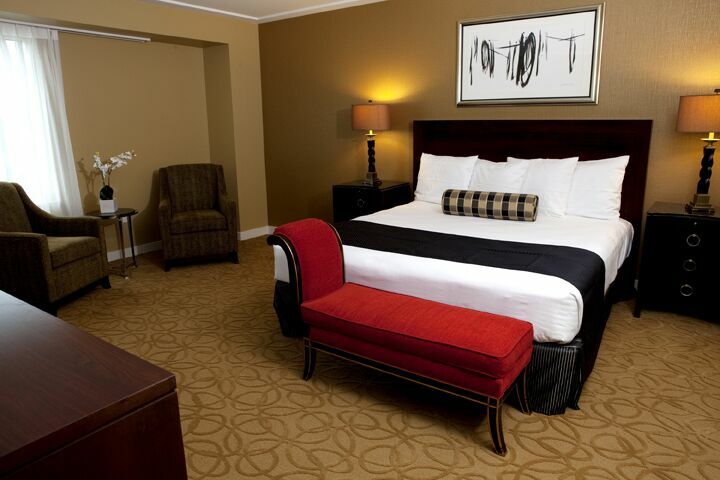 Casinos typically aren't my type of thing, but this looks like a great place just to getaway. Any excuse to break out from normal everyday life and just relax is okay with me! Sands Bethlehem looks like just the place to do that!